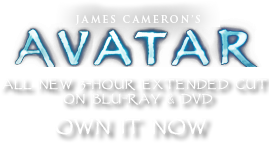 The Blue Flute | Pandorapedia: The Official Guide to Pandora | Own AVATAR on Blu-ray & DVD Now! It is interesting to note that, although the Omaticaya Clan calls itself “The Clan of the Blue Flute,” the instrument referenced is, at least as described to researchers, not actually a flute. (Some researchers attribute this to a lack of nuance on the part of the Terran translator). Nor is it used as a musical instrument. There is only one in existence, kept carefully within the limbs of Hometree, and it serves as a totem or guardian spirit, a concrete representation of the connection of the Na’vi with the Hometree. The flute (actually a one-holed trumpet in terms of playing techniques) is of ancient ancestry. Na’vi mythology theorizes that Eywa plucked a branch from the Hometree, created the Blue Flute, and gave it to the Omaticaya Clan with the intent that it be used as a device to communicate with her or the spirits of ancestors who have passed on. Xenomusicologists believe that it is played on only the most sacred of occasions, including the alignment of nearby planets and the ascension of the Toruk Macto, and is played only by the Olo’eyktan (male clan leader). Function Guardian spirit played only on most sacred occasions. Size and Weight Roughly three meters long, eighteen kilograms. Materials and Construction Hollowed branch from Hometree, one finger hole drilled near top. Notes Flute has never been seen by human researchers or avatars.